The M18 FUEL = inch Drill Driver is the Industry's Most Powerful Drill delivering Up to 60% More Power, is Up To 1.5 inch Shorter and is Up To 2X Faster Under Heavy Load. The POWERSTATE Brushless motor delivers 1,200 in-lbs of torque and 2,000 RPMs providing fast drilling through demanding applications. At 6.9 inch in length this is the most compact drill in its class giving better access into tight spaces and reducing fatigue. The REDLINK PLUS intelligence ensures maximum performance and protects from overloads, heating or over-discharge. The REDLITHIUM XC5.0 Battery Pack delivers more work per charger and more work over the life of the pack than competitors. The all metal ratcheting chuck is the best in class by providing increased bit grip strength and corrosion resistance. The Bosch HDS183B 18V EC Brushless Compact Tough 1/2 In. Hammer Drill/Driver is an efficient cordless tool with long runtime, and it features KickBack Control. The integrated acceleration sensor automatically shuts the tool down when a potentially dangerous rotational torque reaction occurs in a bind-up scenario. Its efficient EC Brushless motor delivers longer tool life as well as great runtime. One of Bosch's Compact Tough designs, it has a short head-length and light weight but plenty of muscle. It delivers a powerful performance, with 531 In.-Lbs. of torque, two drilling speeds (0-1,900 rpm for high speed and 0-600 rpm for high torque), an impact rate of 28,500 bpm for masonry applications and 20+1 precision clutch settings for reduced fastener damage. It includes a long belt clip for a secure hold. This is a bare-tool kit; the battery and charger are sold separately. M18 FUEL 18-Volt Lithium-Ion Brushless Cordless 1/2 inch Drill/Driver (Tool-Only) The M18 FUEL = inch Drill Driver is the Industry's Most Powerful Drill delivering Up to 60% More Power, is Up To 1.5 inch Shorter and is Up To 2X Faster Under Heavy Load. The POWERSTATE Brushless motor delivers 1,200 in-lbs of torque and 2,000 RPMs providing fast drilling through demanding applications. At 6.9 inch in length this is the most compact drill in its class giving better access into tight spaces and reducing fatigue. The REDLINK PLUS intelligence ensures maximum performance and protects from overloads, heating or over-discharge. The REDLITHIUM XC5.0 Battery Pack delivers more work per charger and more work over the life of the pack than competitors. The all metal ratcheting chuck is the best in class by providing increased bit grip strength and corrosion resistance. M18 FUEL 18-Volt Lithium-Ion Brushless Cordless 1/2 inch Drill/Driver (Tool-Only) is rated 4.0 out of 5 by 23. Rated 5 out of 5 by Mike from Great tool very smooth running.... Great tool very smooth running. Rated 3 out of 5 by Gregory from Mistaken as a duplicate drill/driver; woefully underpowered. The online effort... Mistaken as a duplicate drill/driver; woefully underpowered. The online effort had me returning it to our local HD store. Left an online message afterwards complaining of not enough info amidst the gazillion pictures and offerings. It should have been easier.... fail! Rated 1 out of 5 by Jon from This drill is not up to Milwaukee's normal quality. We bought two of these for work. First, the s... 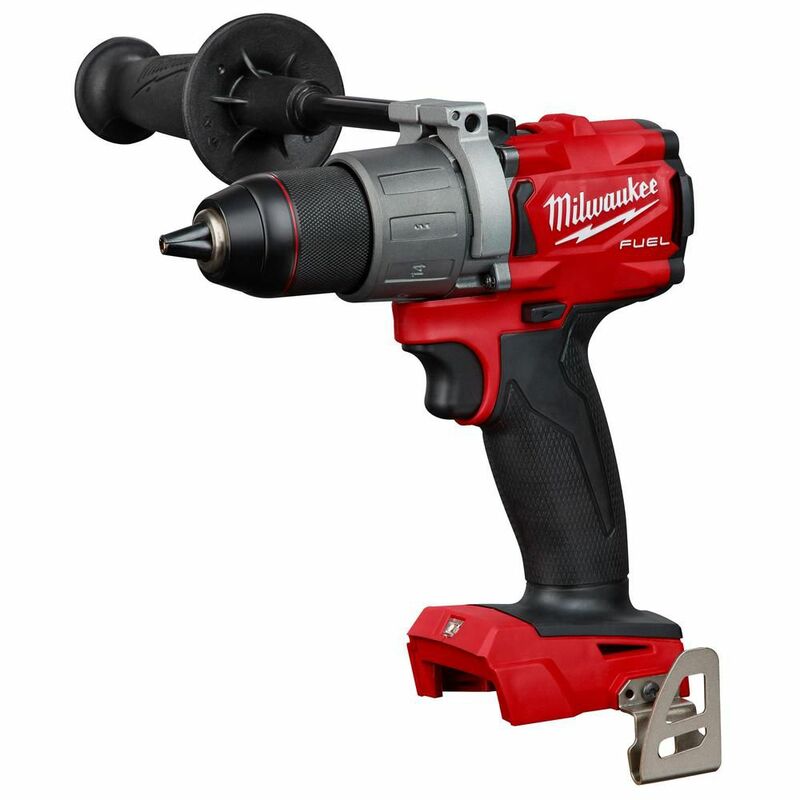 This drill is not up to Milwaukee's normal quality. We bought two of these for work. First, the selector around the chuck feels like cheap plastic, and it would probably break with a small impact. Second, the chucks themselves are making a grinding sound, and we have used them three times now in optimal/clean conditions. Third, the trigger sticks on both of them. About half the time, you pull the trigger, and it sticks and will not engage/depress. Also, many times when you pull the trigger in, it depresses all the way, then nothing happens. We release the trigger and try again, then it engages. We are returning both of these and will try a different Milwaukee drill in hopes that a different product will live up to their name. If not, we will have to switch to a different manufacturer for quality's sake.